"Sorry Ladies--- I am taken." Ibn Warraq is the best selling author, critic of Islam, whos views not only distort the peaceful and tolerant face Islam but has no regard for Muslim opinion and schoarship. However looking over his work, I can only say that Warraq’s work is unscholarly and is mainly polemic. Regardless this is my short response to his first book Why I am Not A Muslim (1995). Also I show what others say about him and why his work shouldn’t be taken seriously by anyone studying any religions. Before I get into the contents of his book, Ibn Warraq (an Indian Born Writer) is one of these “apostates” from Islam who left the faith after studying Islam. Who did they study Islam from? Orentalists- European Writers and Academics (in other words “white people” if that’s the politically correct word for their ethnicity) who study not only Islam but the Middle East with basisness and a Superiority Complex. The problem with these apostates are they are looking for some kind of “revenge” against their former faith. My guess is that these “former” Muslims had some kind of trouble with their faith in their past. Probably had to do with strict parents which “abused” them in the name of Islam or some other disgusting part of their childhood or past which has made them reculant and bitter towards Islam. I’ve read what these people have written about Islam and most of it is laugable and their own interpretation of Islam. Their hatered for Islam is So much so that they would twist things out of context, put their own “spin” on Quranic verses and use phony or laugable scholarship on various topics regarding Islam or Prophet Muhammad. Most of this is mainly polemic and this is exactly what Ibn Warraq does. He takes things out of context, puts his own opinion or spin on things, and relies mostly on Oreinatlist writings on Islam…this makes Ibn Warraq’s work unoriginal and unscholarly. Warraq in his book, makes all sorts of claims against Islam, however fails to be reasonable, fair and balanced. He mainly uses English translations of the Quran instead of Arabic like he is suppose to when dealing with the Quran. Even in the beginning of his book he makes a foolish claim that Allah in the Quran is cruel, angry and proud. This of course is not true. The Quran tells of Allah’s loving and kind nature all over the place (see Quran 2:222, 2:195, 3:176, 3:134, 3:146,3:148, 3:159, 5:42, 5:54, 5:93, 9:4, 9:7, 9:108, 19:96). This just shows that Warraq has not done the research he was suppose to do when writing his book on the Quran or anything else on Islam. Other evidence of Ibn Warraq’s sloppy research on the Quran and understanding of the text is when Warraq quotes the Quran’s story of the fall of Satan found in the Quran 2:30-39, 7:11-18,15:28-43, 17:61-65, 38:71-85. Here he says that it is rather inconsistent that God allows Satan to worship Adam when God alone is to be worshipped in the Quran. However Ibn Warraq failed to understand that when Allah tells the Angels to bow down to Adam, he is not telling them to worship Adam but rather to pay respect to him. As Yousef Ali in his commentary of the Quran states: “The Angels were told to bow down to Adam by Allah’s grace, so his status is raised higher.” Allah is not telling the Devil (Iblis) to worship Adam as Warraq claims, rather he is telling him to bow to Adam to honor man, these are two different things Warraq gets confused about. - Most of what Ibn Warraq’s first book is on, is basically what he believes. 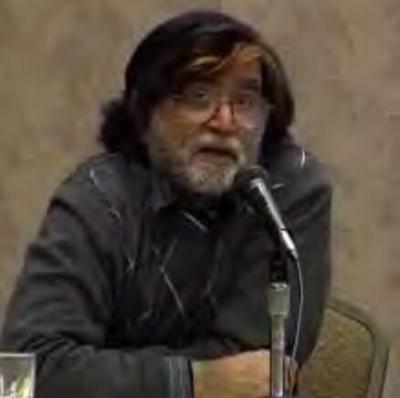 He has written numerous books on the alleged “sources” of the Quran, “Apostates” leaving Islam, etc. However if one reads his first book, Why I am Not A Muslim(1995) the book basically summarizes all his arguments against Islam. - Apparently Ibn Warraq has a hard time actually reading the Quran completely. On page 144-153 of his first book he makes the claim that it is impossible that Prophet Moses had received the Torah. He then quotes Robin Fox to prove that the Torah was written by a group of unknown authors known as J, E, P and D. Later Ibn Warraq then states that Prophet David couldn’t have recived the Psalms because the Psalms were finished after him, therefore the Quran is wrong. Again if Ibn Warraq carefully read the Quran he would notice Quranic Verses such as Quran 2:79, Quran 5:14-15, which clearly point to the Bible being corrupt. - Most of Ibn Warraq’s work including his book, try to pinpoint the sources of the Quran with no success. As we’ve already seen most scholars are certain there was no books/Bibles of any sort in Arabia. In the above verse, the word "light" is used for the Moon ("nooran" in Arabic) and the word "lamp" for the Sun ("sirajan" in Arabic.) The word used for the Moon refers to a light-reflecting, bright, motionless body. The word used for the Sun refers to a celestial body which is always burning, a constant source of heat and light. On the other hand, the word "star" comes from the Arabic root "nejeme," meaning "appearing, emerging, visible." As in the verse below, stars are also referred to by the word "thaqib," which is used for that which shines and pierces the darkness with light: self-consuming and burning. Plus the Quran says that the sun is a blazing lamp in the above verse, and else where in Sura 78:12-13. Nowhere in that verse does it say that the moon is a blazing lamp or that it gives off its own light. And yes Warraq, the earth does orbit the sun and the Quran agrees with that, 86:11 and 51:7. All the Quran says that the sun has an orbit in Surah 21:33 and modern science agrees with that. According to astronomers' calculations, the Sun moves along a path known as the Solar Apex in the path of the star Vega at an incredible speed of 720,000 kmph. In rough terms, this shows that the Sun traverses some 17.28 million km a day. As well as the Sun itself, all the planets and satellites within its gravitational field also travel the same distance. So Warraq fails to show any scientific error in the Quran. As for Warraq’s claim about the Quran speaking about Alexander the Great in Quran 18:82, however the Quran is not speaking about Alexander the Great. See The section Questioning the Quran for more on this issue. The last subject on Ibn Warraq’s book I want to touch on is Women. On page 297 of his book, Warraq goes further into women. He Quotes various Caliphs or Disciples of the Prophet Muhammad who point to the evil ways of Women. However Ibn Warraq never quotes the sources of where he got this evidence from. I will touch upon what Islam has to say about Women in the next chapter, chapter 11: Women in Judaism, Christianity and Islam. Most of the stuff Ibn Warraq states about Women in Islam, such as the myth of polygamy, not educating women is encouraged in Islam, Women cannot leave the house, etc will be debunked in the next chapter. Conclusions: Ibn Warraq is an atheist so his book and works might upset Christians and Jews. Warraq makes claims such as Prophets Abraham and Jesus never existed, etc. His book is completely one sided, based on things ripped out of context, fails to be reasonable or rational and worse yet only relies on Western thinkers or “Orientalist” of Islam and not Islamic scholars. The book is primarily polemic and unschoalray and pointless to Atheists, Christians and Muslims. No serious student of Islam would read Warraq’s polemics.
. Ibn Warraq can run but he can’t hide from critics.Ibn Warraq's hatemongering has led to bad research not only on Islam but on religion as well. Ibn Warraq is no “scholar” on Islam or any religion in general. As a matter of fact the thought of someone like Warraq being a scholar makes me laugh. Rather I consider him as an anti-Islamic polemical who uses poor scholarship and weak arguments to try to prove his points against Islam in general. However it is not only me who thinks Warraq’s works lack credibility and scholarship on Islam. Read what at least two other scholars are saying about him. Herbert Berg, an associate professor in the Department of Philosophy and Religion at the University of North Carolina, has rightly labelled him as polemical and inconsistent in his writing. Fred Donner, a professor in Near Eastern studies, notes Ibn Warraq's lack of specialist training in Arabic studies, citing "inconsistent handling of Arabic materials," and unoriginal arguments. Donner criticizes Ibn Warraq's book on Muhammad for what he describes as "heavy-handed favoritism" and "the compiler’s [Ibn Warraq] agenda, which is not scholarship, but anti-Islamic polemic. " See pg.176 of my book for the evidence of Arabs being Ishmalies. Berg, Herbert (1999). "Ibn Warraq (ed): The Origins of the Koran: Classic Essays on Islam's Holy Book". Bulletin of the School of Oriental and African Studies 62 (3): 558. Retrieved on 7-20-2006. Donner, Fred. (2001) Review: The Quest for the Historical Muhammad. Middle East Studies Association Bulletin, University of Chicago.